A new study, co-authored by Zhengyu Liu, professor of atmospheric and oceanic science at the University of Wisconsin–Madison, shows Earth’s oceanic conveyor belt, the Atlantic Meridional Overturning Circulation (AMOC), could collapse as carbon dioxide levels rise and lead to abrupt climate change. The study, led by Liu’s former graduate student, Wei Liu (no relation), is published today (Jan. 4, 2017) in Science Advances. The collapse would occur about 300 years after Earth’s carbon dioxide levels double compared to 1990 levels. The AMOC is responsible for the circulation of Earth’s warm tropical waters to its poles, influencing ice sheets and weather in coastal regions of the world. Zhengyu explains that about 10 years ago, scientists began to realize the stability of AMOC, based on observations from sensors throughout the Atlantic Ocean, did not fit with predictions by existing climate models. Those observations imply the AMOC is unstable, while the models forecast that the AMOC would remain relatively stable even when perturbed by melting water and rising levels of carbon dioxide rise that warm the Earth. However, in the final stages of his graduate work at UW, Wei used temperature and salinity data from the observations to correct the model with respect to freshwater transport across the Atlantic, an indicator of AMOC stability. He soon found that under a carbon dioxide doubling scenario considered by the Intergovernmental Panel on Climate Change (IPCC) Fifth Assessment Report, which leads to warming, the AMOC becomes unstable and collapses. While their model did not include Greenland ice sheet melting, Zhengyu explains that rising temperatures can melt ice sheets, adding more freshwater to the salty ocean. This can change the salinity of the waters and the way they move. Instability can also occur when the cold waters of the North Atlantic warm as carbon dioxide rises, leading to less mixing and reduced freshwater transport over the Earth’s surface. Under an AMOC collapse scenario, the researchers predict the waters of the North Atlantic would cool and sea ice would expand. Precipitation would increase over the tropical South Atlantic and Brazil while also decreasing over the North Atlantic tropics and Central America. 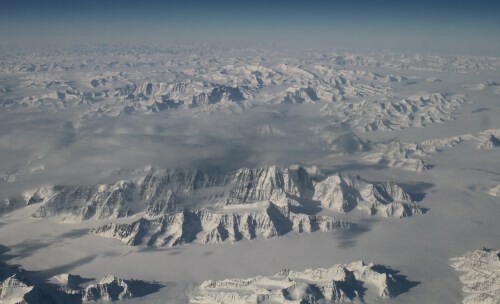 Wei says the Greenland ice sheet may also expand, though the researchers did not explore this in the new model. “It shows climate change could be more abrupt than IPCC predictions,” says Zhengyu. He acknowledges that the model presented in the study is far from perfect but because it incorporates “our state-of-the-art understanding of the AMOC” as well as real and recent data, it is an improvement upon current models, which he says “over-stabilize” AMOC. Better data from past climate, like an accurate chronology of melting events relative to climate change, combined with more modern day measurements of ocean water temperature, salinity and transport would help improve the model, he says. But it will take decades to get there, and a dedication to gathering these kinds of data consistently. Wei Liu began the work for the study while a student at UW–Madison and completed it as a postdoctoral researcher at Scripps. He is now a researcher at Yale University. Co-authors of the study Shang-Ping Xie at Scripps Institute of Oceanography and Jiang Zhu at UW–Madison. It was funded by the National Science Foundation, the U.S. Department of Energy, and the Ministry of Science and Technology of the People’s Republic of China.